iStat Menus 6.31 – Monitor your system right from the menubar. Weather — with current temperature, hourly forecast, weekly overview and so much more. Next story GraphicConverter 10.6.8 – Graphics editor with powerful features. Previous story Swift Publisher 5.0.8 – Versatile desktop publishing app with many templates. 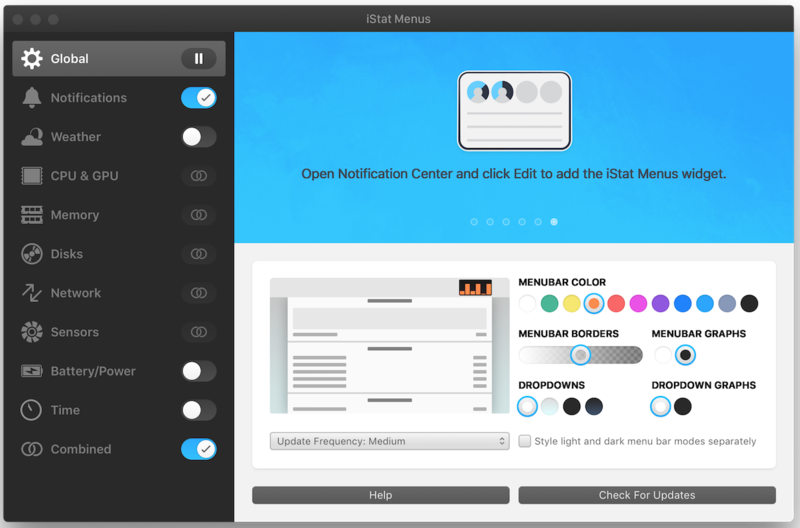 iStatistica 3.0.1 – Advanced system monitor. SwitchResX 4.7.0 – Monitor-resolution utility. iStat Menus 5.11 b17 – Monitor your system right from the menubar (beta).